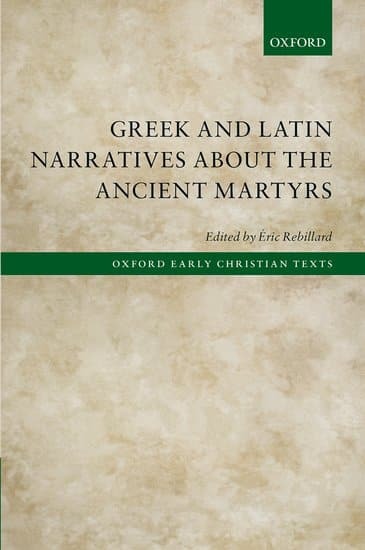 Greek and Latin Narratives about the Ancient Martyrs provides a collection, with facing-page translations, of Greek and Latin Christian martyr narratives. 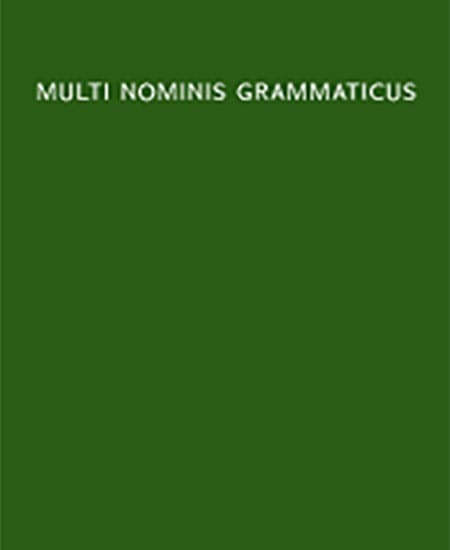 While Herbert Musurillo's authoritative collection The Acts of the Christian Martyrs (1972) aimed to gather the most 'authentic' and 'reliable' accounts of early Christian martyrdom, this extensive volume provides a textual basis for the study of martyr narratives without making assumptions about their date of composition or their authenticity. It focuses on the 'ancient martyrs', i.e. martyrs executed before 260, and examines which of their texts was known to Eusebius or to Augustine. Introductions describe the hagiographical dossier of each martyr with crucial information about the manuscript tradition of the different texts and provide a terminus ante quem for their composition based only on external evidence. Bright red terra sigillata pots dating to the first three centuries CE can be found throughout the Western Roman provinces. The pots' widespread distribution and recognisability make them key evidence in the effort to reconstruct the Roman Empire's economy and society. Drawing on recent ideas in material culture, this book asks a radically new question: what was it about the pots themselves that allowed them to travel so widely and be integrated so quickly into a range of contexts and practices? To answer this question, Van Oyen offers a fresh analysis in which objects are no longer passive props, but rather they actively shape historical trajectories. Ekphrasis is familiar as a rhetorical tool for inducing enargeia, the vivid sense that a reader or listener is actually in the presence of the objects described. 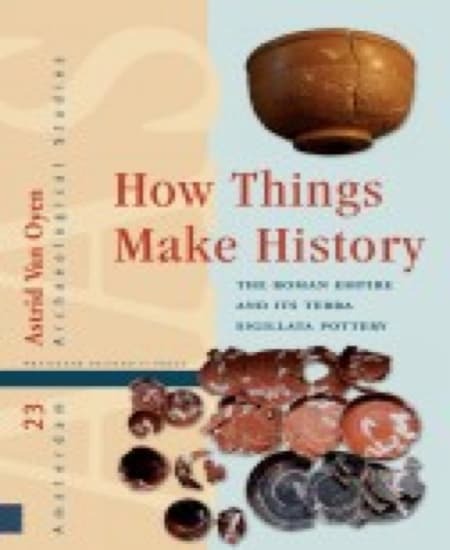 This book focuses on the ekphrastic techniques used in ancient Greek and Roman literature to describe technological artifacts. 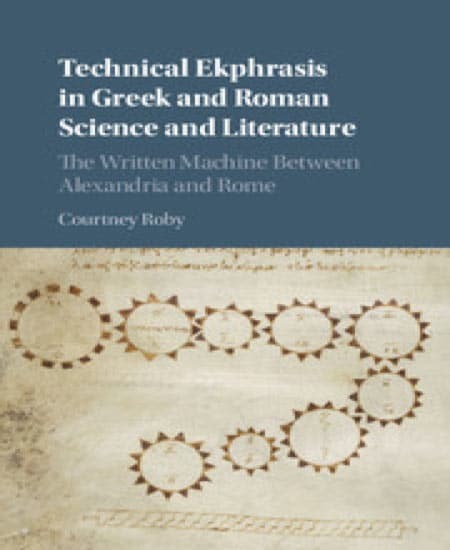 Since the literary discourse on technology extended beyond technical texts, this book explores 'technical ekphrasis' in a wide range of genres, including history, poetry, and philosophy as well as mechanical, scientific, and mathematical works. 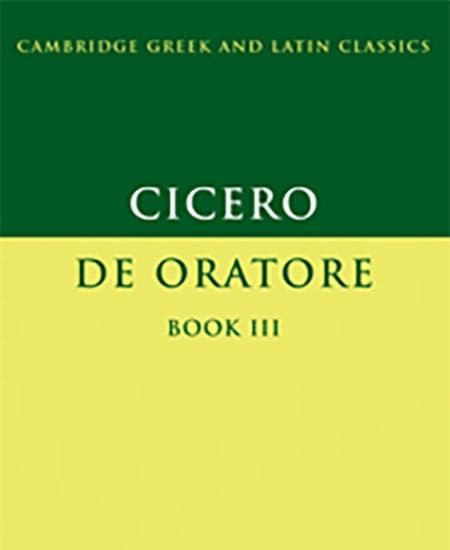 Technical authors like Philo of Byzantium, Vitruvius, Hero of Alexandria, and Claudius Ptolemy are put into dialogue with close contemporaries in other genres, like Diodorus Siculus, Cicero, Ovid, and Aelius Theon. The treatment of 'technical ekphrasis' here covers the techniques of description, the interaction of verbal and visual elements, the role of instructions, and the balance between describing the artifact's material qualities and the other bodies of knowledge it evokes. To understand the past, we necessarily group people together and, consequently, frequently assume that all of its members share the same attributes. In this ground-breaking volume, Eric Rebillard and J?rg R?pke bring renowned scholars together to challenge this norm by seeking to rediscover the individual and to explore the dynamics between individuals and the groups to which they belong. Joannes Burmeister of L?neburg (1576-1638) was among the greatest Neo-Latin poets of the German Baroque. His masterpieces, now mostly lost, are Christian ?inversions? of the classical Roman comedies of Plautus. With only minimal changes in language and none in meter, each transforms Plautus? pagan plays into comedies based on biblical themes. Singular Renaissance curiosities in their day, they have since been entirely forgotten. This volume offers the first critical edition of the newly discovered Aulularia (1629), which exists in a sole copy, and the fragments of Mater-Virgo (1621), which adapts Plautus? Amphitryo to show the Nativity of Jesus. The introduction offers reconstructions of Susanna (based on Casina) and Asinaria (1625), his two lost or unpublished inversions of Plautus. 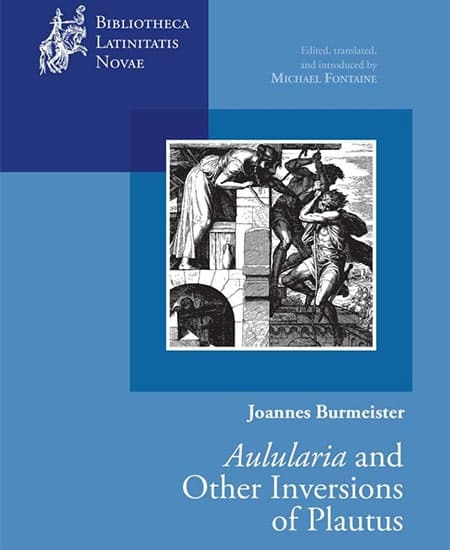 It also provides the only biography of Burmeister based on archival sources, along with discussions of his inimitable Latinity and the perilous context of war and witch burning in which he wrote. Scholars of early modern literature will take special interest in the poetic German plot summaries (also translated), while students of the Thirty Years War or the Holy Roman Empire will want to add Burmeister's contemporary view of military abuses to those later expressed in Grimmelshausen's Simplicius Simplicissimus. 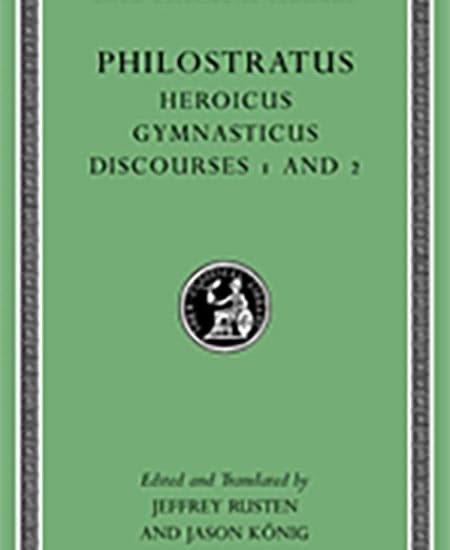 In this volume, Heroicus and Gymnasticus, two works of equal creativity and sophistication, together with two brief Discourses (Dialexeis), complete the Loeb Classical Library edition of Philostratus's writings. Jeffrey Rusten proposes a new translation of the Heroicus, a conversation in a vineyard amid ruins of the Protesilaus shrine (opposite Troy on the Hellespont), between a wise and devout vinedresser and an initially skeptical Phoenician sailor, about the beauty, continuing powers, and worship of the Homeric heroes. 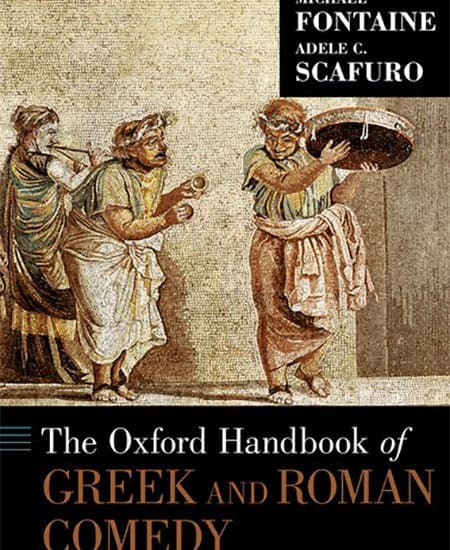 The Oxford Handbook of Greek and Roman Comedy marks the first comprehensive introduction to and reference work for the unified study of ancient comedy. From the birth of comedy in Greece to its end in Rome, from the Hellenistic diffusion of performances after the death of Menander to its artistic, scholarly, and literary receptions in the later Roman Empire, no topic is neglected. 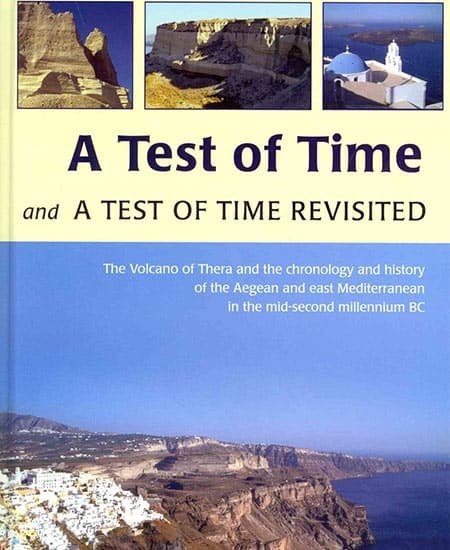 The eruption of the Thera (Santorini) volcano in the Aegean Sea in the mid-second millennium BC was a clearly defined, specific moment in Aegean and east Mediterranean prehistory that impacted on all the major cultures of the region. The effects of the eruption have been linked with the destruction of the Minoan palace civilisation of Crete, the legend of Atlantis, and even events described in the Biblical account of the Exodus. Scientists have studied the remains of the volcano and traced eruption products and far-flung climatic impacts throughout the east Mediterranean and in ice cores and tree-ring data. At Akrotiri, a major prehistoric town buried by the eruption, archaeologists unearthed the partially intact remains multi-storey buildings, painted frescoes and myriad objects of everyday life. The date of the eruption has long been a subject of importance and controversy since accurate dating would offer a unique linchpin for the study and synchronisation of the history and cultures of the region in the mid-second millennium. It would provide a key test both for the established historical chronology of ancient Egypt and derived archaeological chronologies. Yet the exact date remained stubbornly unresolved and varied in the literature by over 100 years. A Test of Time, first published in 1999, sought to resolve the issue through a critical review of the archaeological and scientific data, including the presentation of radiocarbon dates, which together suggested a new ?early? chronology for the Aegean c. 1700?1400 BC. 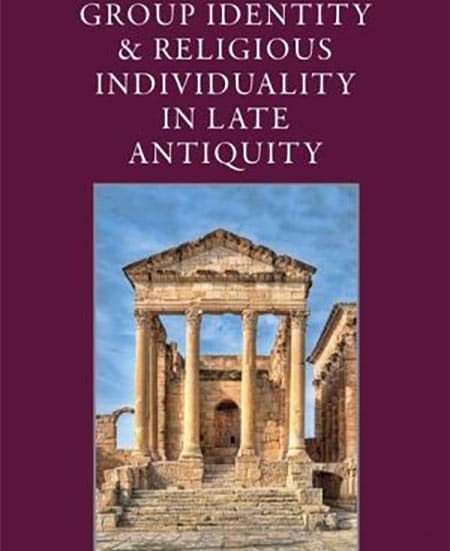 This edition comprises the original, unrevised text, together with a substantial new appended essay which critically reviews the continuing debate between 1999 and 2012 and presents a raft of new scientific data, including the Bayesian modelling of radiocarbon dates relating to a range of relevant archaeological sequences from Egypt and the eastern Mediterranean. The eighteen papers collected in this volume - fifteen of which are published in English for the first time - explore the transformations of religious practices between the third and the fifth centuries in the Western part of the Roman Empire. They share an approach that privileges the study of processes and interactions and does not take for granted the categories and roles traditionally ascribed to social actors. A first group of papers focuses on the sermons and letters of Augustine of Hippo. These texts are precious evidence for balancing the clerical perspective that characterizes most of our sources and can thus shed a different light on the problem of Christianization. The second group collects papers that propose to shift attention from the construction of heresies to that of orthodoxy through the case-study of the controversy of Augustine against Pelagius and Julian of Eclanum. A last group present studies that look at the complex relation between burial and religion, with a particular focus on the role played by the church in the organization of the burial of Christians in Late Antiquity. 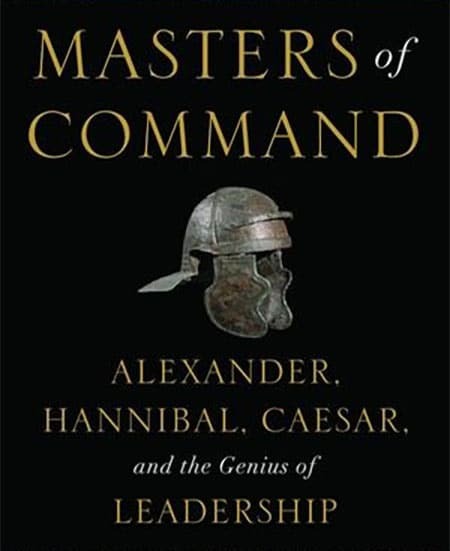 In Masters of Command, Barry Strauss compares the way the three greatest generals of the ancient world?Alexander, Hannibal, and Caesar?waged war and draws lessons from their experiences that apply on and off the battlefield. 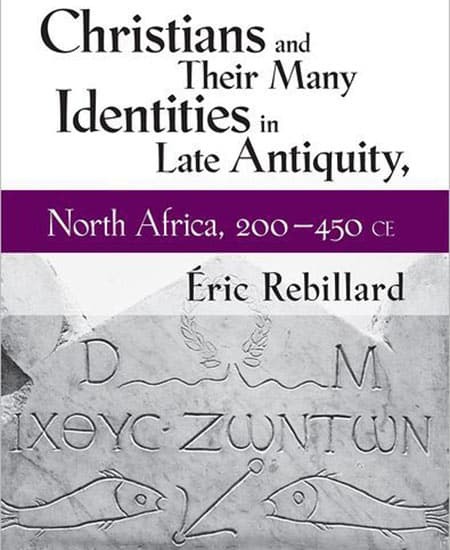 In Christians and Their Many Identities in Late Antiquity, North Africa, 200?450 CE, ?ric Rebillard explores how Christians in North Africa between the age of Tertullian and the age of Augustine were selective in identifying as Christian, giving salience to their religious identity only intermittently. By shifting the focus from groups to individuals, Rebillard more broadly questions the existence of bounded, stable, and homogeneous groups based on Christianness. In this volume, thirty internationally recognized scholars have come together to celebrate the work of the famous Indo-Europeanist Alan J. Nussbaum. The topics range widely from Nussbaum's favorite subject of Indo-European nominal morphology, especially in the Classical languages, to the historical grammars of Tocharian, the stylistics of the Rigveda, Aristophanean philology, and much more. Nussbaum's work is honored with contributions by such renowned experts as Heiner Eichner, Jay Jasanoff, Sergio Neri, Hayden Pelliccia, Richard Thomas, and Michael Weiss. A complete bibliography of Nussbaum's oeuvre is included. Plato's account of the tripartite soul is a memorable feature of dialogues like the Republic, Phaedrus and Timaeus: it is one of his most famous and influential yet least understood theories. It presents human nature as both essentially multiple and diverse ? and yet somehow also one ? divided into a fully human 'rational' part, a lion-like 'spirited part' and an 'appetitive' part likened to a many-headed beast. How these parts interact, how exactly each shapes our agency and how they are affected by phenomena like eros and education is complicated and controversial. 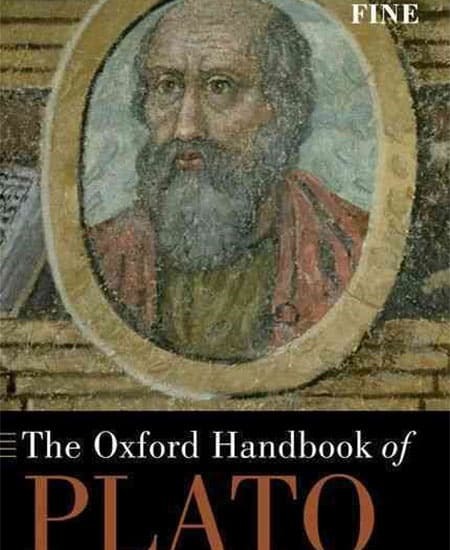 The essays in this book investigate how the theory evolves over the whole of Plato's work, including the Republic, Phaedrus and Timaeus, and how it was developed further by important Platonists such as Galen, Plutarch and Plotinus. They will be of interest to a wide audience in philosophy and classics. 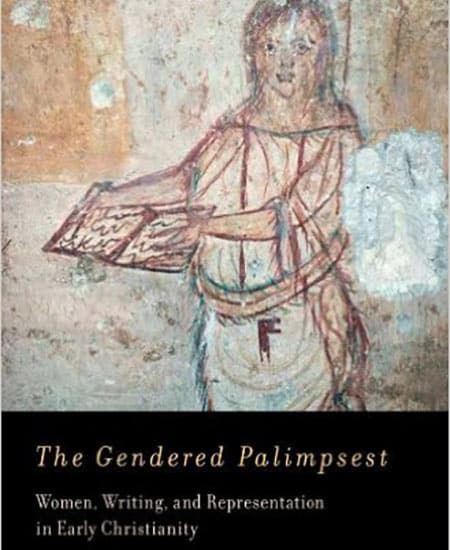 Books and bodies, women and books, and the malleable word and flesh lie thematically at the center of The Gendered Palimpsest, which explores the roles that women played in the production, reproduction, and dissemination of early Christian books, and how the representation of female characters was contested through the medium of writing and copying. The book is organized in two sections, the first of which treats historical questions: To what extent were women authors, scribes, book-lenders, and patrons of early Christian literature? How should we understand the representation of women readers in ascetic literature? The second section of the book turns to text-critical questions: How and why were stories of women modified in the process of copying? And how did debates about asceticism--and, more specifically, the human body--find their way into the textual transmission of canonical and apocryphal literature? This is the first history of epiphany as both a phenomenon and a cultural discourse within the Graeco-Roman world. It explores divine manifestations and their representations both in art and in literary, historical and epigraphic accounts. 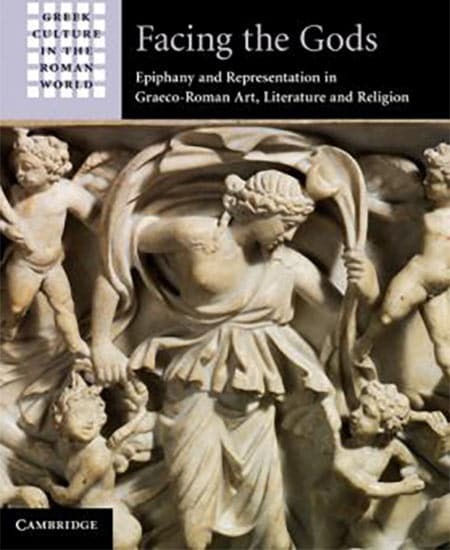 The cultural analysis of epiphany is set within a historical framework that examines its development from the archaic period to the Roman Empire. 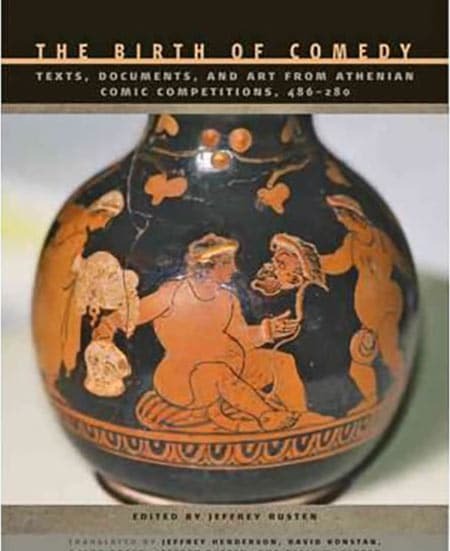 The Birth of Comedy makes accessible for the first time the rich evidence for all aspects of classical Greek comedy. 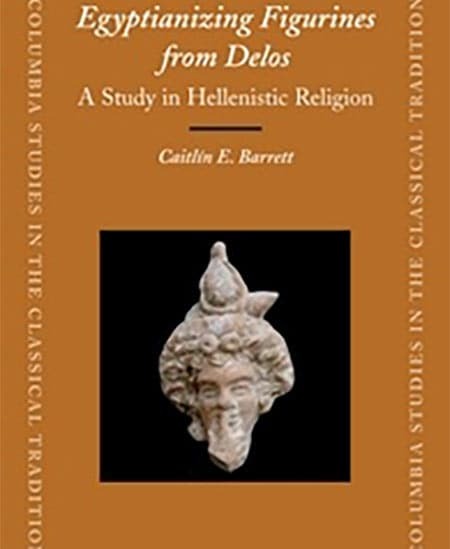 This book investigates Hellenistic popular religion through an interdisciplinary study of terracotta figurines of Egyptian deities, mostly from domestic contexts, from the trading port of Delos. A comparison of the figurines? iconography to parallels in Egyptian religious texts, temple reliefs, and ritual objects suggests that many figurines depict deities or rituals associated with Egyptian festivals. An analysis of the objects? clay fabrics and manufacturing techniques indicates that most were made on Delos. Additionally, archival research on unpublished notes from early excavations reveals new data on many figurines? archaeological contexts, illuminating their roles in both domestic and temple cults. The results offer a new perspective on Hellenistic reinterpretations of Egyptian religion, as well as the relationship between ?popular? and ?official? cults. The Iguvine Tables are among the most invaluable documents of Italic linguistics and religion. Seven bronze tablets discovered in 1444 in the Umbrian town of Gubbio, they record the rites and sacral laws of a priestly brotherhood, the Fratres Atiedii. Taking an interdisciplinary approach that combines philological and linguistic, as well as ritual analysis, Michael Weiss not only addresses the many interpretive cruces that have puzzled scholars for a century and a half, but also constructs a coherent theory of the entire ritual performance described on Tables III and IV. 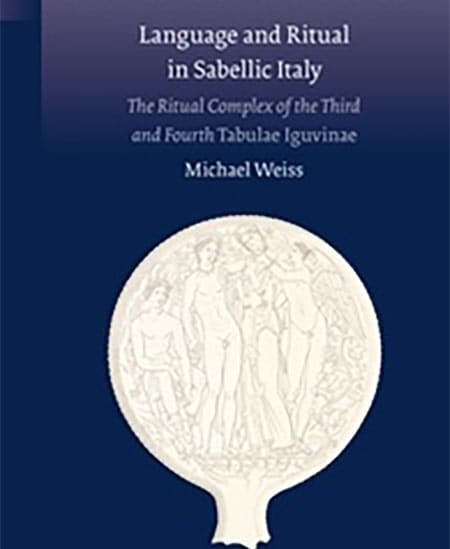 In addition, Weiss sheds light on many questions of Roman ritual practice and places the Iguvine Tables in their broader Italic and Indo-European contexts. This book reassesses the premises, nature, and audience of Plautine comedy. 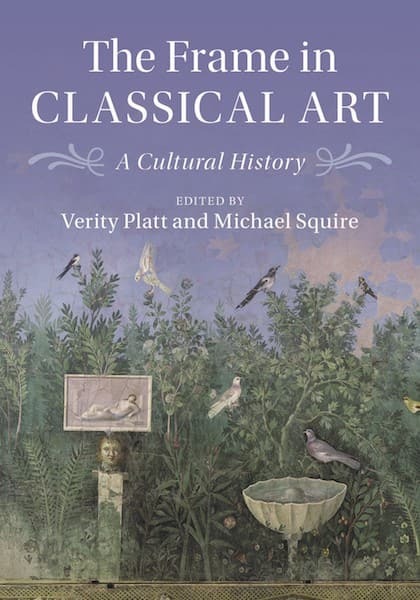 Combining textual and literary criticism, Michael Fontaine argues that many of Plautus' puns, jokes, and several characters' names were misunderstood in antiquity. 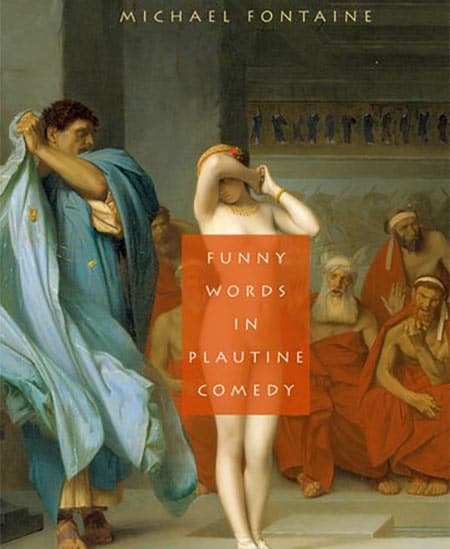 By examining the comedian's tendency to make up and misuse words, Fontaine sheds new light on the close connection between Greek and Roman comedy. The result reveals a Plautus writing in the Hellenistic tradition for a knowledgeable and sophisticated audience. 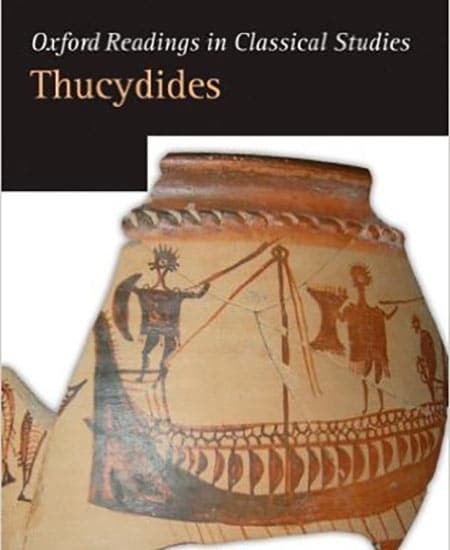 This collection of essays is designed to accompany, instruct, and stimulate readers of Thucydides by making accessible some classic and influential studies that are frequently cited but not always easy to access. An introductory chapter surveys the chronology and thematic controversies among Thucydides' readings from antiquity to the present. In this translation of Religion et S?pulture: L'Eglise, les vivants et les morts dans l'Antiquit? 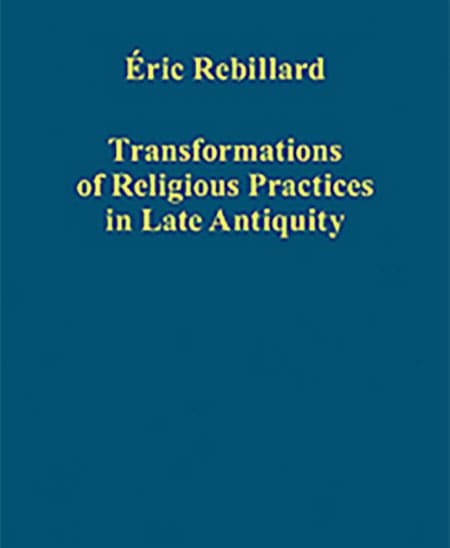 tardive, Rebillard fundamentally changes our understanding of early Christianity. 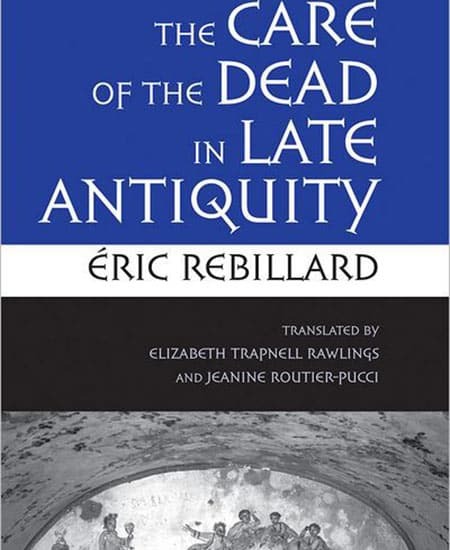 The Care of the Dead in Late Antiquity will force scholars of the period to rethink their assumptions about early Christians as separate from their pagan contemporaries in daily life and ritual practice. 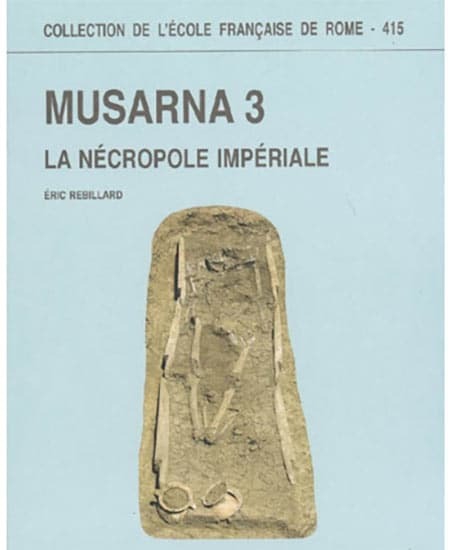 This third volume on the Etrusco-Roman city of Musarna, located at about 100 km to the north-west of Rome, is the publication of a group of about 200 tombs from the second and third century CE. All evidence related to these burials are integrated in a single report with a fully illustrated catalog. Thematic essays address topics such as the layout and development of the cemetery, burial practice and the dead. 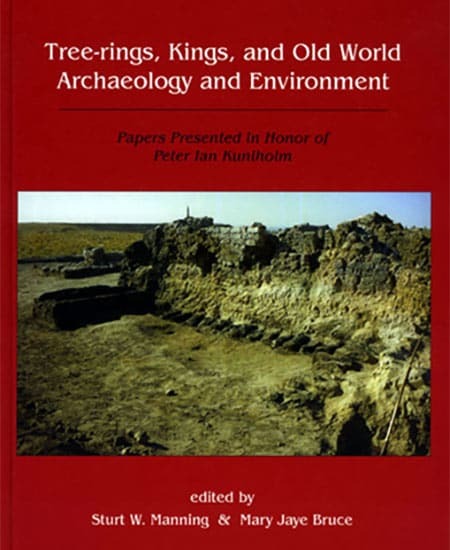 This rich collection of papers by an international authorship, deriving from a conference held at Cornell University in honor of Peter Kuniholm, provides wide-ranging and up-to-date discussions and assessments on a number of key topics concerning the chronology and environment of the central to east Mediterranean and Near East and the field of dendrochronology. This includes controversy: a set of papers addressing the current debate over the dating of the great Santorini/Thera volcanic eruption in the mid second millennium BC; famous sites and finds, including a report on the absolute dating of the extraordinary Uluburun ship of the late 14th century BC; papers concerned with the dating and interpretation of important sites and topics such as Gordion, Akrotiri on Thera, the rise and fall of the Hittite empire, and the Anatolian Iron Age. 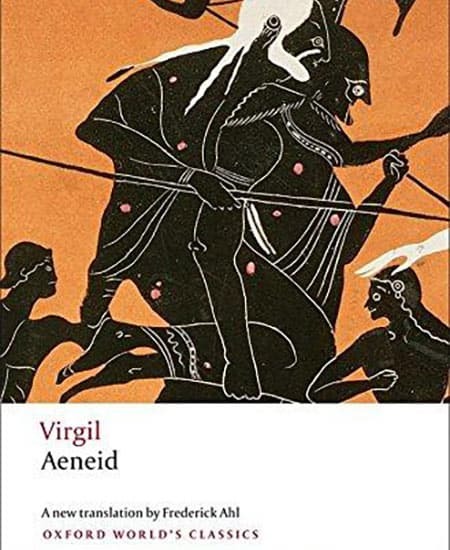 A vibrant new verse translation The Aeneid, the first to use the original poetic meter and to capture the subtleties of Virgil's wordplay. Twenty-one newly commissioned essays that provide in-depth and up-to-date discussions of a variety of Platonic dialogues and topics.